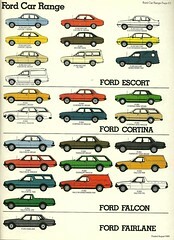 From my lifetime (almost) collection of auto advertising brochures. I hope you are enjoying them. This is the back cover of a full line catalog.